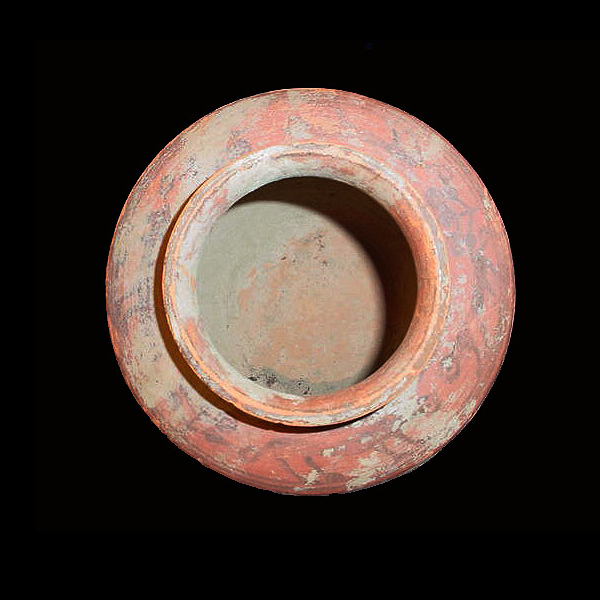 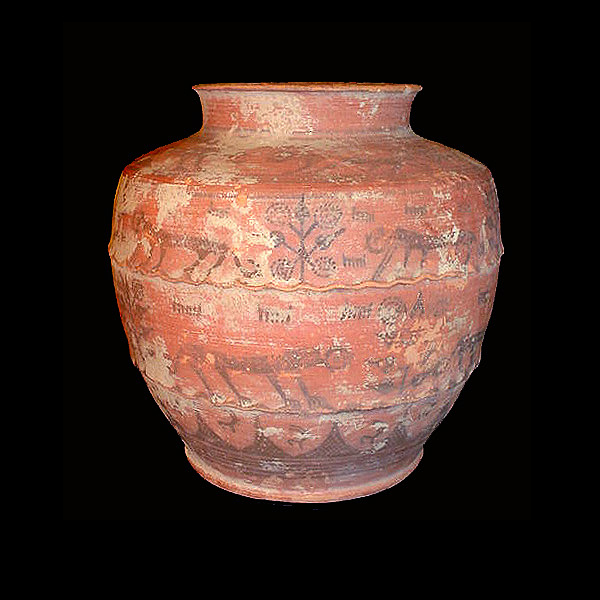 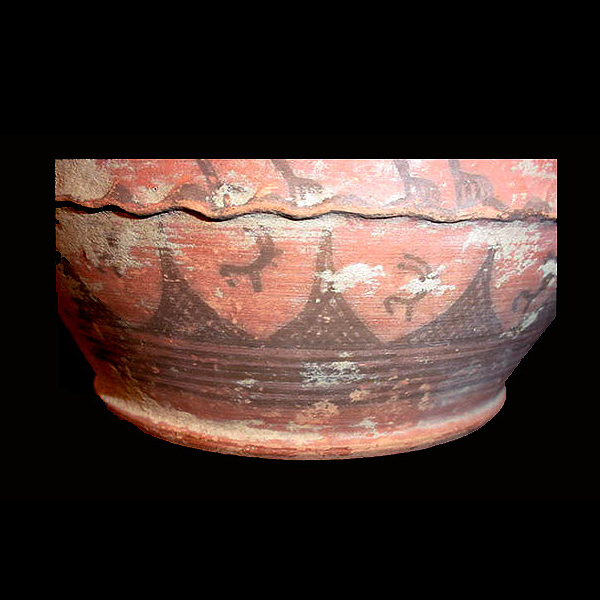 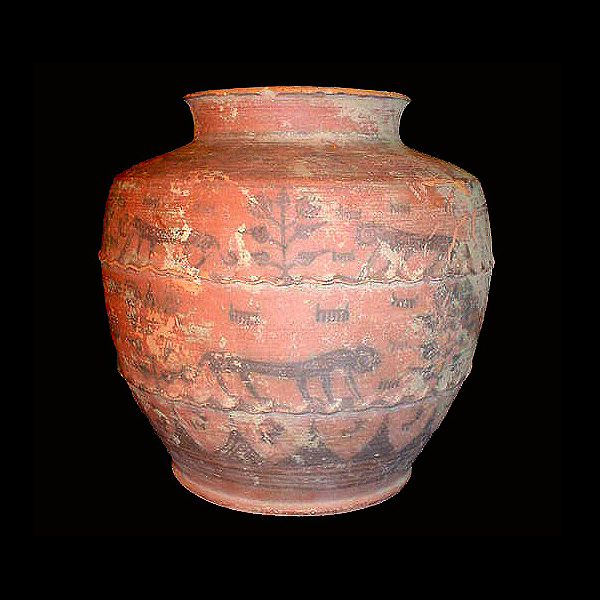 A superb Indus Valley red-painted pottery vessel, the body decorated with wavy bands separating three registers. 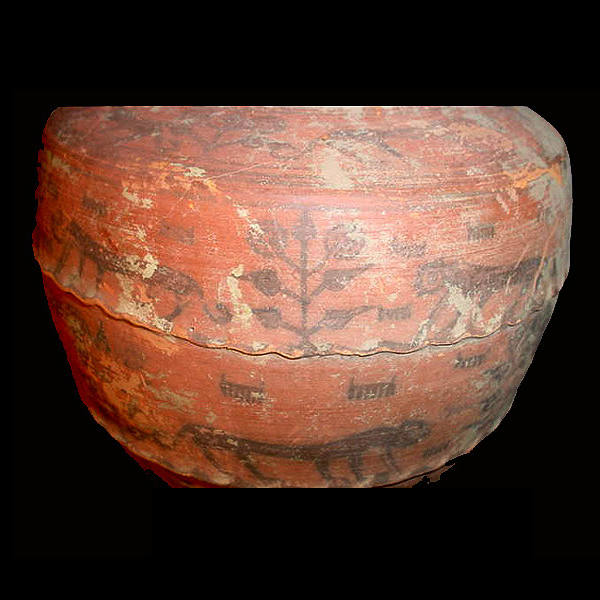 The upper two registers are painted in dark brown pigments with feline figures between pipal trees; the lower register with caprid and mountains. 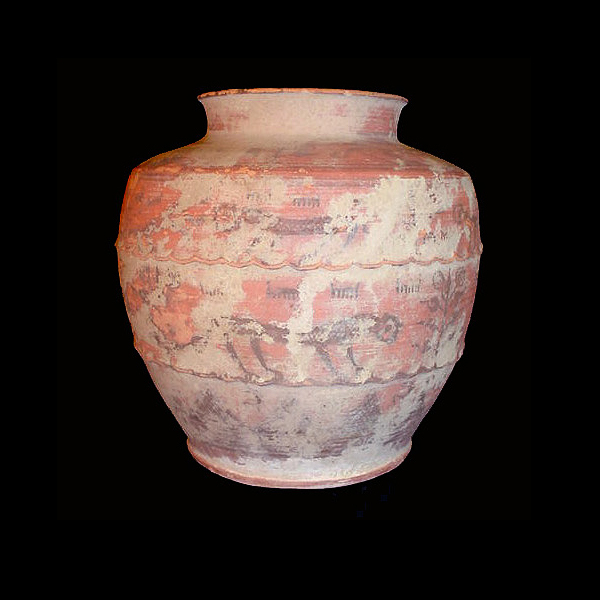 This piece is accompanied by a positive thermoluminescence authenticity report from the University of Wollongong, New South Wales, Australia. 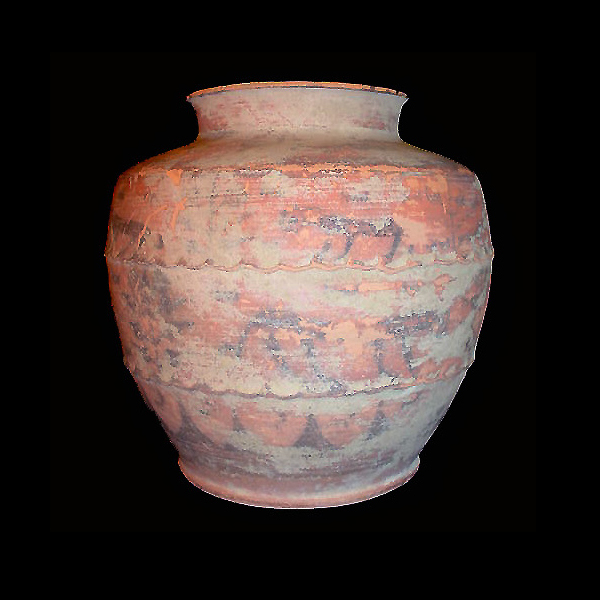 Very minor ancient loss evident; otherwise fine condition. 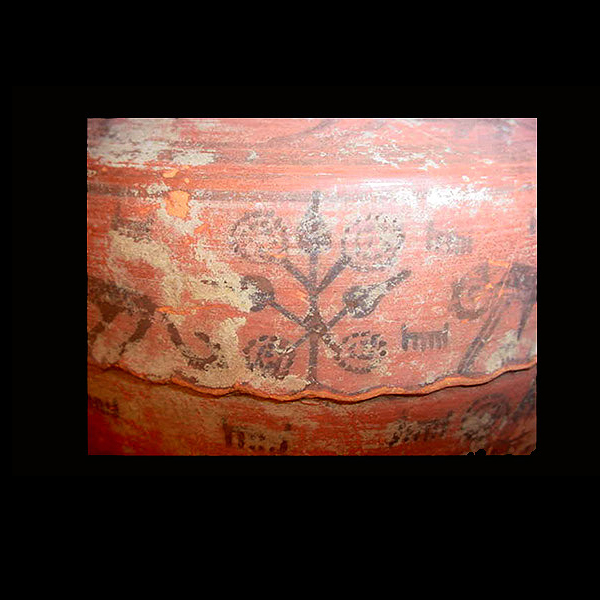 Earth accretions in sections.